Hello Friends! A Happy Monday morning to all of you. I do hope everyone’s had a fantastic summer .I’m sure you’ve found ways of beating this sweltering heat in Dubai, by either travelling to cooler locales, spending time with family and friends or perhaps whipping cool treats in your kitchens. I’ve had a great summer indeed. It has been a busy one around my kitchen with the usual recipe testing’s, kids cooking workshops or then just cooking up a storm for family and friends. Well that’s another reason for not having posted for some time but I do promise to get more recipes out soon. 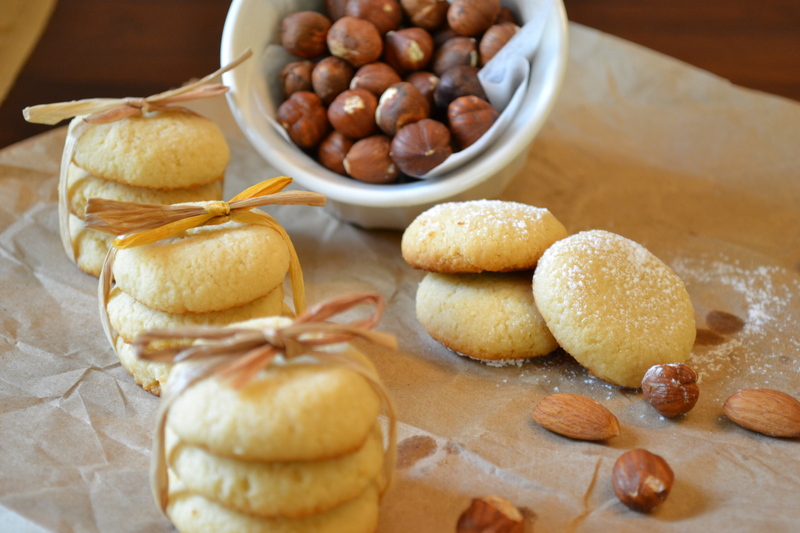 This post is for these wonderful Hazelnut & Almond cookies that I had book marked from www.mideats.com. Thank you Heba and Brenda for your wonderful recipe which has been altered just a little bit .I had read your post awhile ago and finally got down to making them just recently. Have used some powdered hazelnuts as well, that’s just because I ran out of powdered almonds. These little cookies were a perfect experiment for my gluten-free cooking .The outcome is really amazing. They are just the right bite size for that something little to satisfy your sweet cravings. 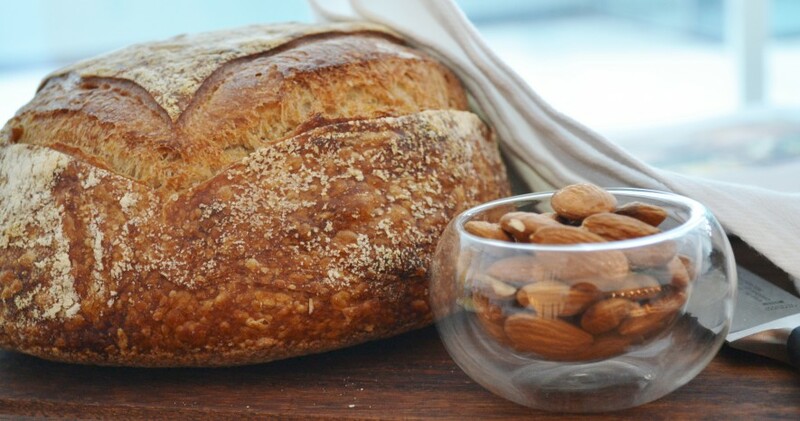 Well a combination of Hazelnuts,Almonds & Maple syrup-these are hard to resist. I sure did enjoy baking them and hope you do too. Mix the powdered almond , hazelnuts ,ghee and maple syrup in a food processor till well combined. Next whisk the egg and add in the vanilla extract, baking soda and salt. Pour the egg mixture into the food processor that has the powdered mixture and process till well mixed. Shape them into small teaspoon sized ball and lay them on a un greased baking tray. Space them about an inch apart. Flatten each ball just a little bit.You may want to add a whole almond in the center.I have just left them plain. 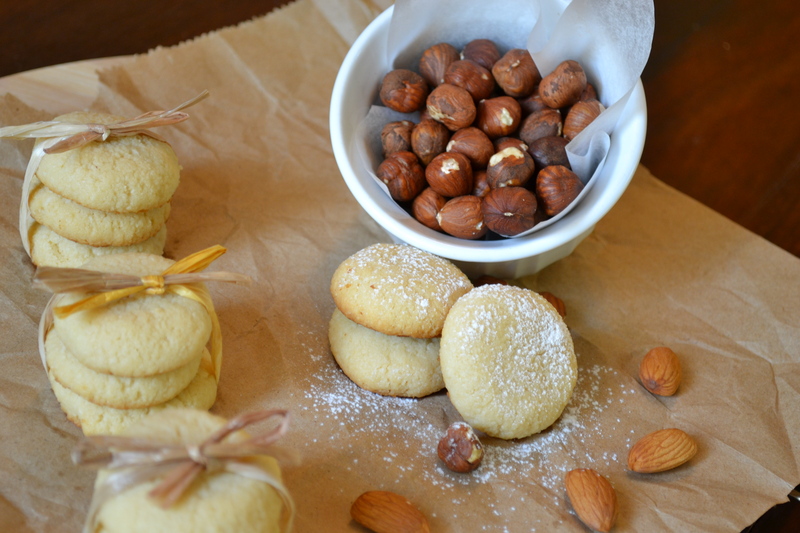 I love almond cookies. 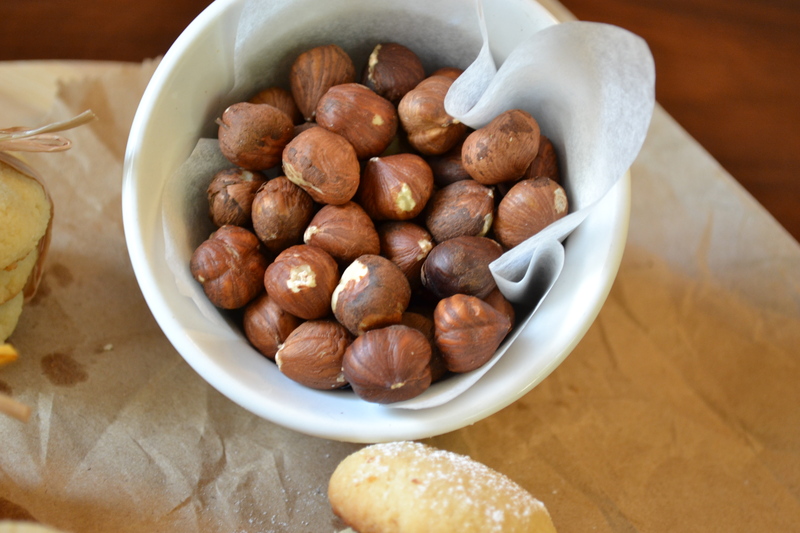 Never thought of making them with hazelnuts. Also, the maple syrup adds a great flavor, I’m sure. Thanks for sharing. I will check out the original link.